Regardless of what joy or turmoil happens in our lives, at the end of the day the sun still sets beyond the horizon and tomorrow it will rise. In the universal scale of things we are insignificant, but on this planet OUR planet, we can make a difference. Let us then go forward, not as a mote of dust but as humans. Let us make the difference in the life of a child or one of our elders or the sea or the air we breath. Let us set aside the hatred, greed and violent thoughts and go forward with peace in our actions and love in our words. Let us make a difference for the health of all our kind and all species and all our planet. We have bountiful treasures here on Earth and great beauty but time is short between our sunrise and sunset. This entry was posted in Air, earth, Fire, water and tagged Peace, photography. Bookmark the permalink. Aloha and mahalo. I’ve been in a shadowy mist for a few months and looking forward to rebalancing. Am back at the writing and new stories soon. Your words and message are wonderful Dohn. Thank you so much for sharing your sunset too. Yes, we can and MUST make a difference before our time runs out. Lovely image and words, Dohn. My husband smiled at me the other morning and said ‘Another day on the planet!’ Too true. We forget to be grateful and to live in the moment. Such good reminders. That was truly beautiful. Perfectly written, my friend. The photograph is amazing. Thank you. 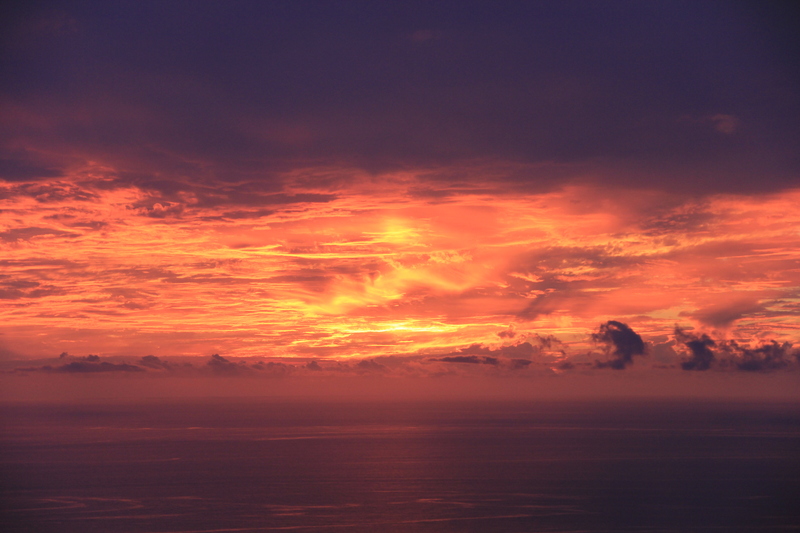 Beautiful … Like fire in the sky.